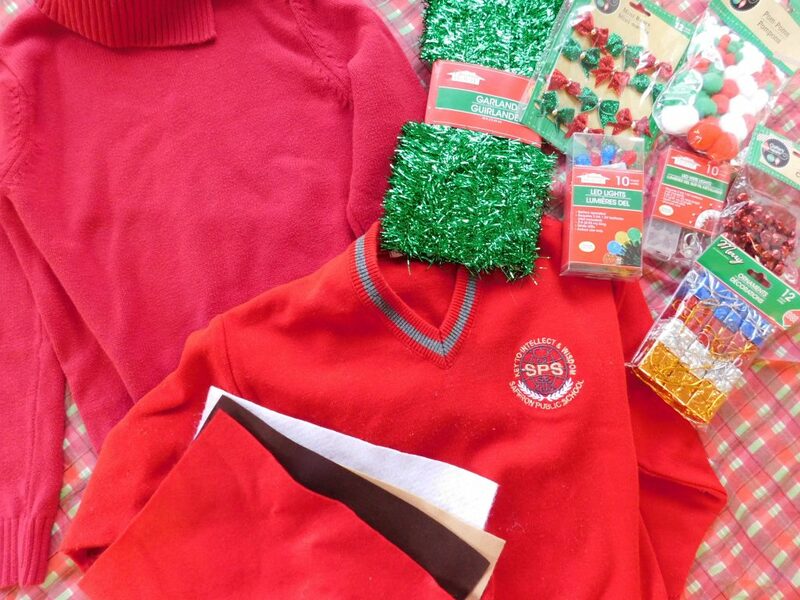 I love any reason to have a good party, and the holidays are a perfect reason. 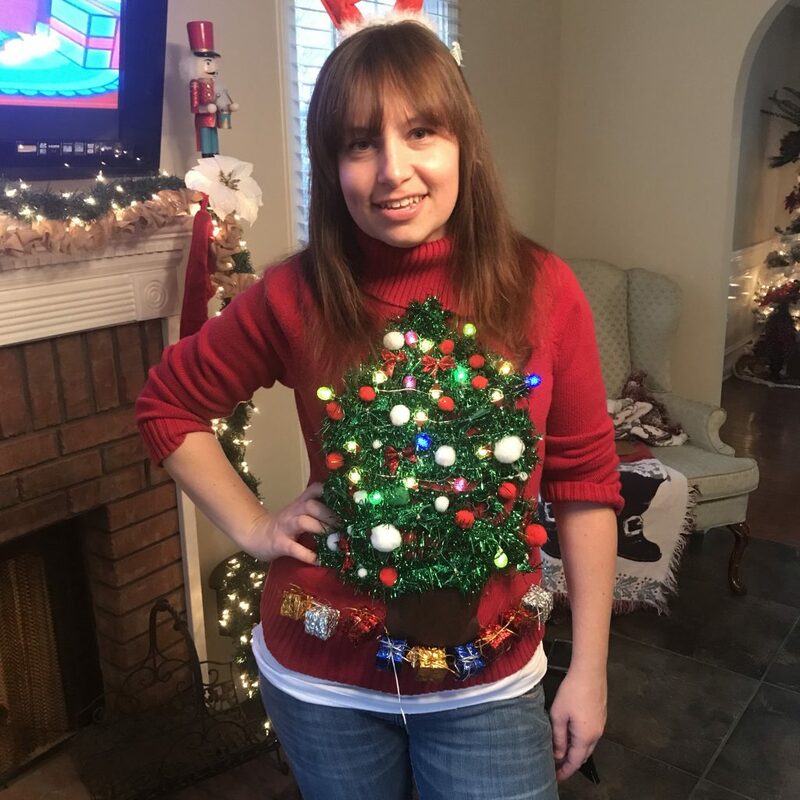 This Christmas I hosted an Ugly Christmas Sweater Party, and I totally didn’t come a lot out-of-pocket to make it happen. 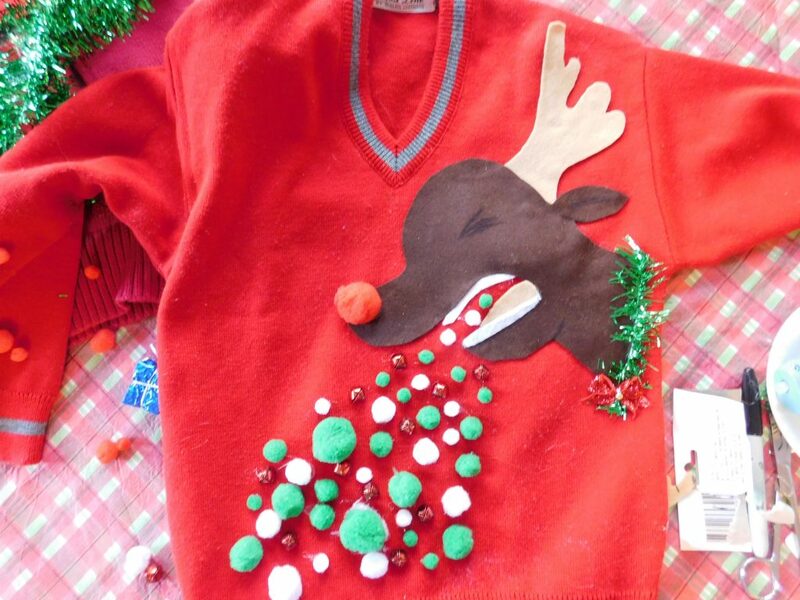 Sure I totally could have went to the store and searched for the perfect ugliest Christmas sweater that I could find, but I am a bit of a cheapskate, like extremely. 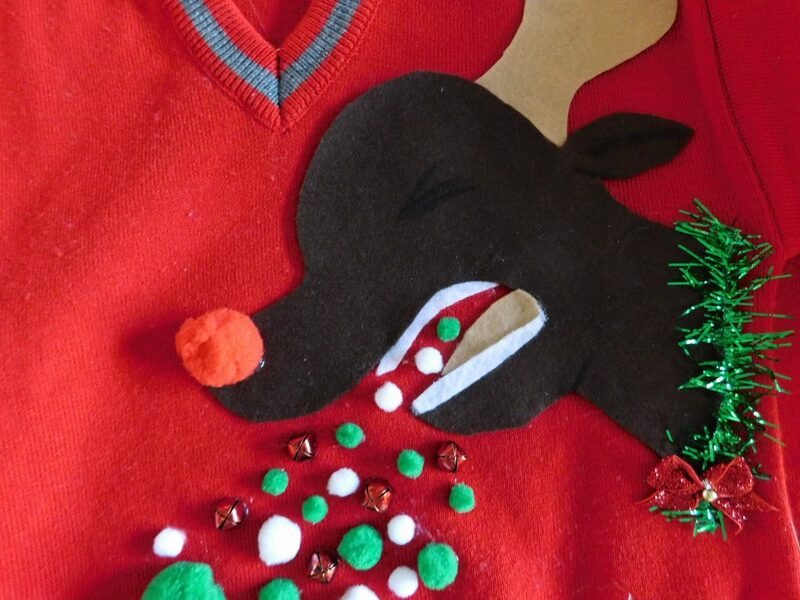 I can’t see myself buying a hideous sweater that I am only going to wear once. When I go hard I go hard. My creation must not only be ugly, but tacky too. 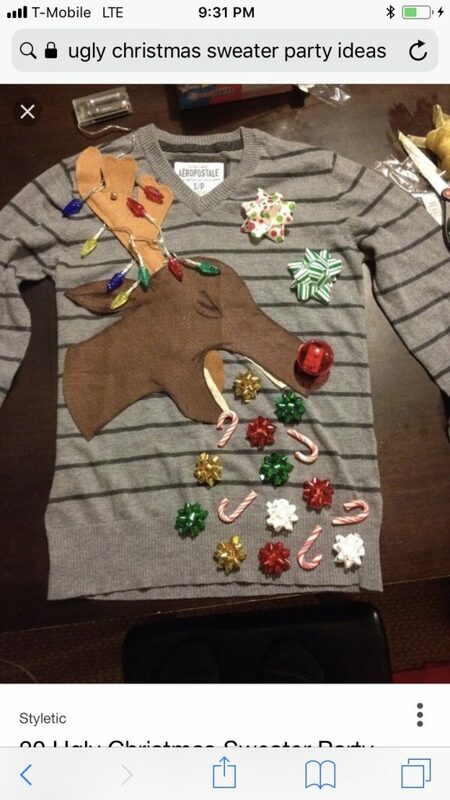 So going out and about in this sweater during the holiday season is not something that I plan on doing. Besides creating something cheap, I’m also strapped for time. I recently started a new job and getting acquainted with the new schedule has altered my typical down time that I use to create, bake and travel (which you’ve probably noticed as I have been MIA for the past couple weeks). It’s all good though, I’m figuring out how to make time for all the things that I need and want to do, so soon I will be consistent again. 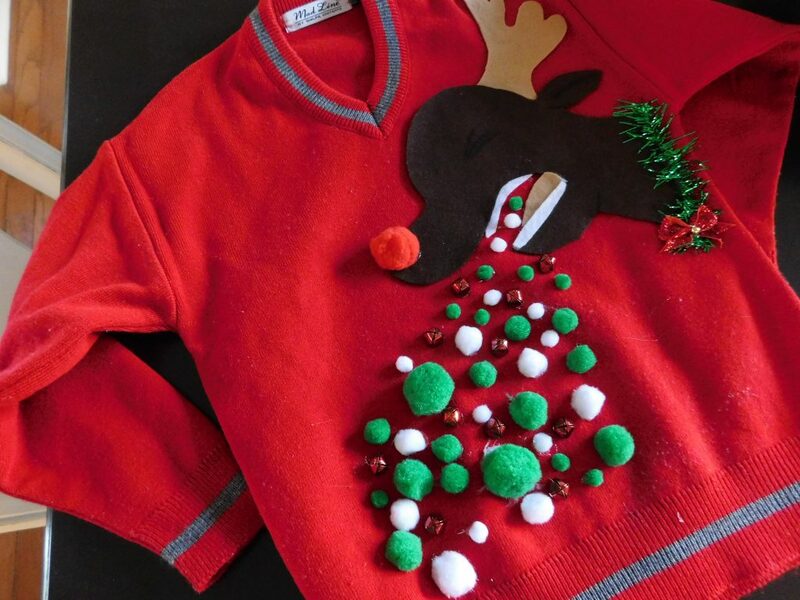 With all that being said, I created my son’s sweater and mine the morning of our party. It took a couple of hours, some thrift store finds, felt and some Dollar Tree decorations, but I feel totally pleased with my creations. 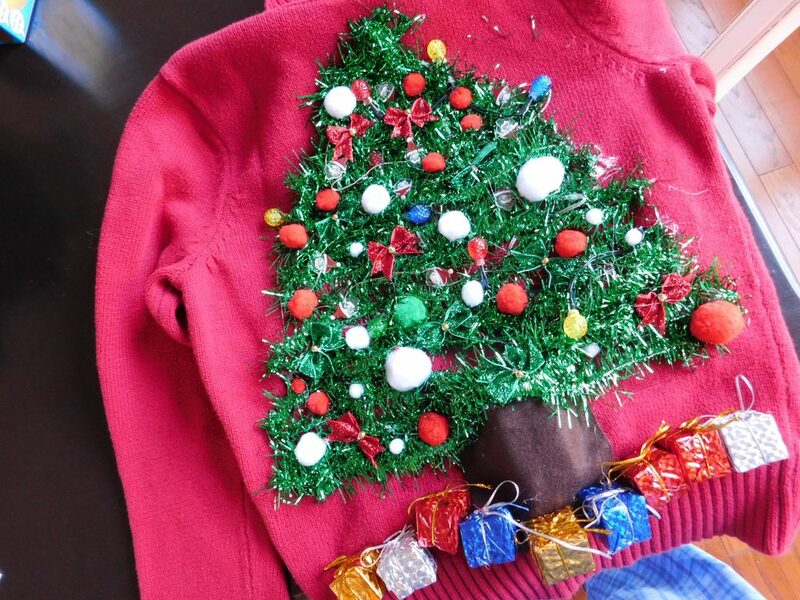 Here are my sweater and my son’s that I snagged from the thrift store, plus all the decorations. I thought it was a perfect amount of gruesome awesomeness. Of course I changed it up a bit, to make it my own. 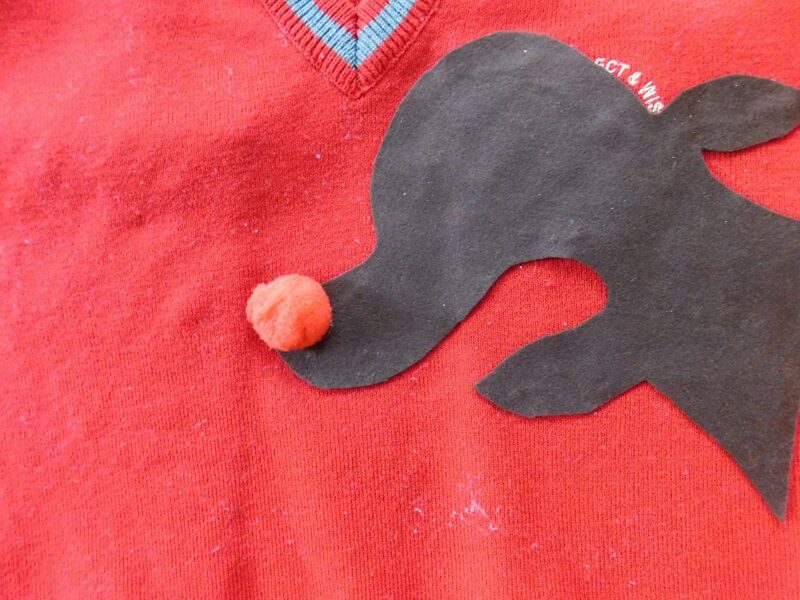 I just eyeballed the shape of the reindeer and drew it out on a piece of felt with a sharpie before cutting it out. I am very pleased with my remix of the image I found online. 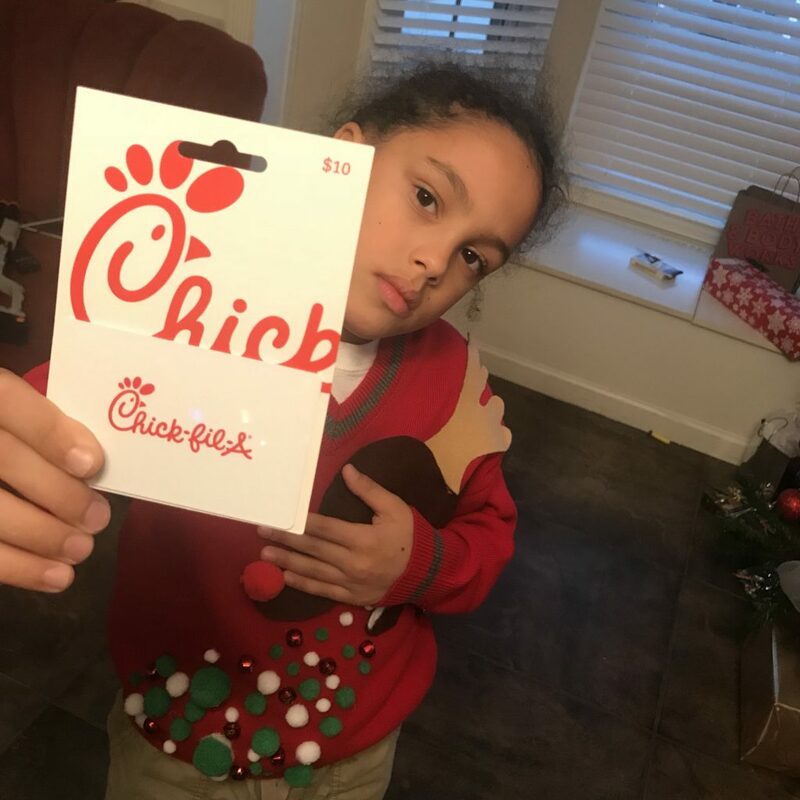 It’s peeerfect for any boy and my guy won the grand prize (a Chick-fil-a gift card). The lights battery packs are in the felt trunk. You know, in case you were wondering. 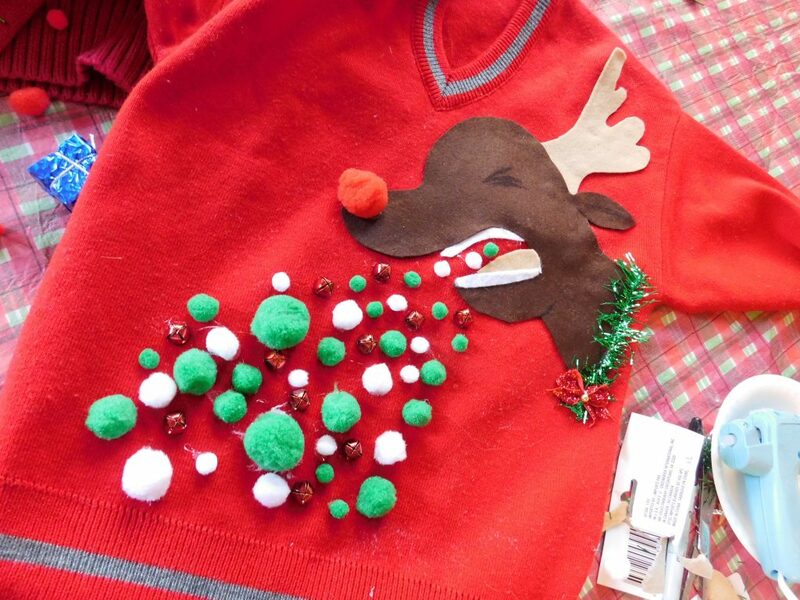 Stay tuned as I post about throwing a quick and easy Ugly Christmas Sweater Party on a budget!